Honda can be honestly credited with popularizing the high-piped "scrambler." Although most 450 scrambler models are designated by the prefix "CL" (as in CL450), the first high-piped 450 was introduced as a make-over kit for the 4-speed black bomber. 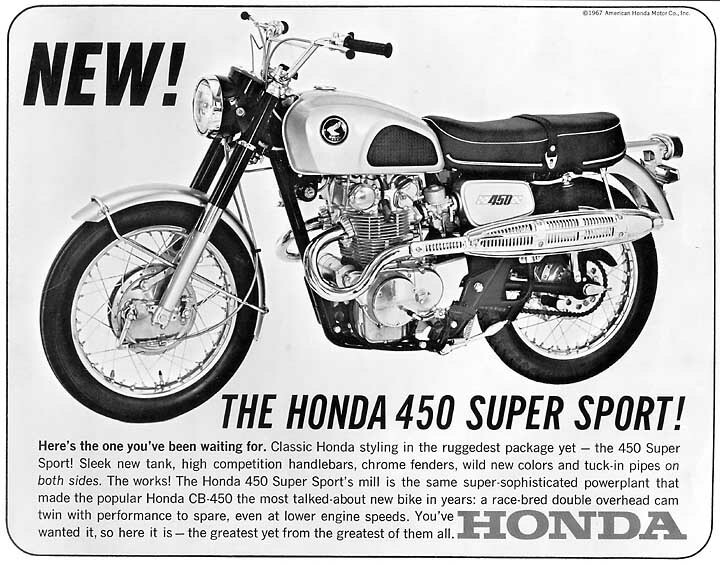 The earliest 450 literature didn't use the term scrambler, and continued with the name "super sport" as shown in this 1967 American Honda Motor Co. Inc. one-page brochure. 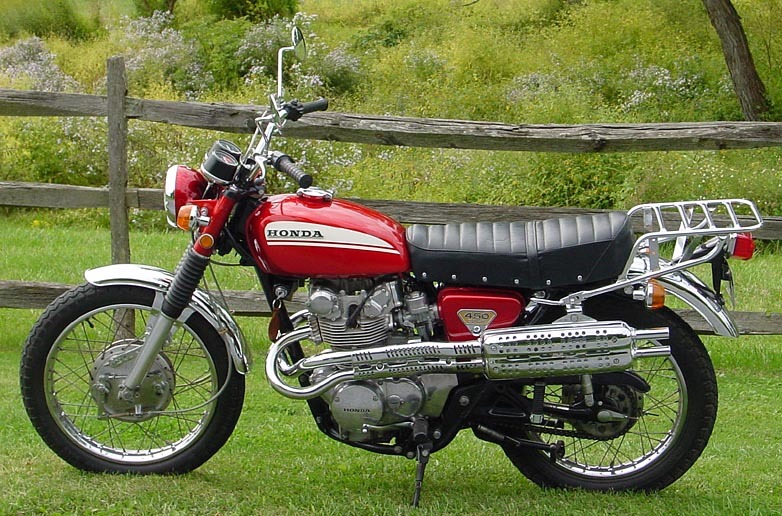 This model is variously referred to as the 450D or, retrospectively, the CL450K0. 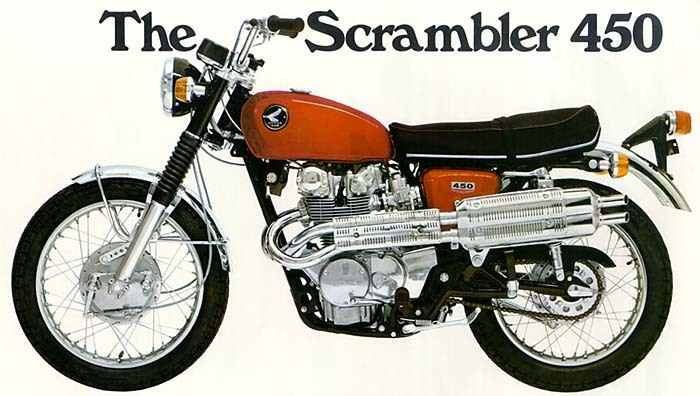 Honda's "Scrambler 450" officially arrived with the introduction of the 5-speed CL450K1 in 1968, illustrated below in a single-sheet brochure from the period. 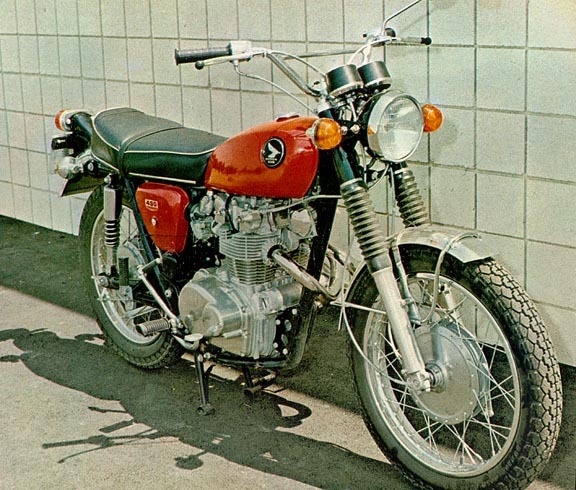 The 1968 model CL450K1 in candy red below, as illustrated in the October 1968 issue of Modern Cycle. 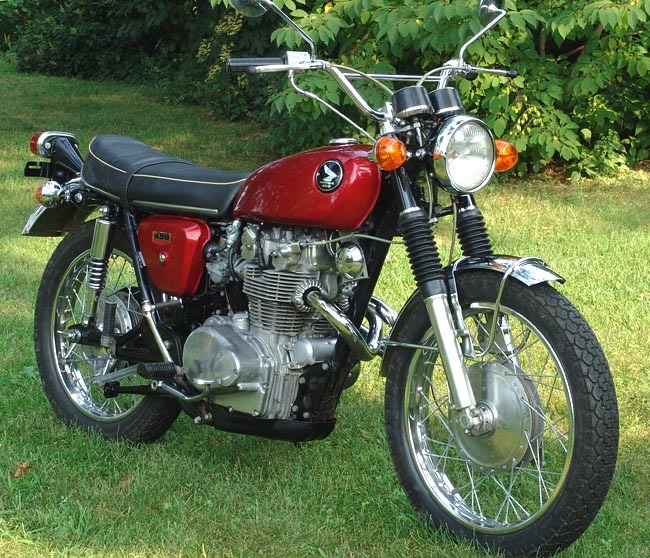 A clean original example of the 1968 model CL450K1 in candy red below. 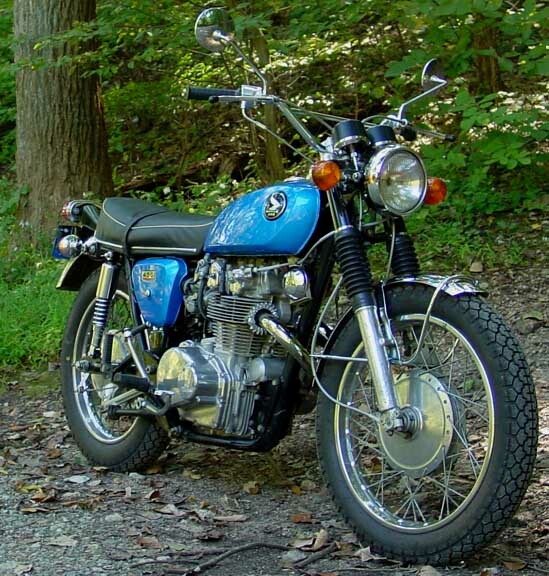 A clean original example of the 1968 model CL450K1 in candy blue below. Click here or on the image for additional high-res photos of the CL450K1 in blue. 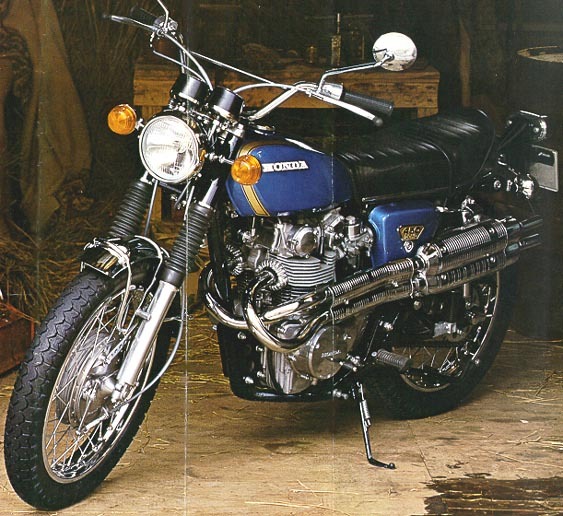 The 1969 model CL450K2 in candy blue below, as shown in an export brochure. A clean example of the 1970 model CL450K3 in candy red below, with aftermarket luggage rack.